When the Sun (Who we are) approaches a square with Saturn (Wednesday) & Pluto (Saturday), we can feel the need to be strong and carry on, regardless of the support or tribulations around us. To be who we really are and rekindle our own authentic fire, despite the Piscean dampness in the sky. 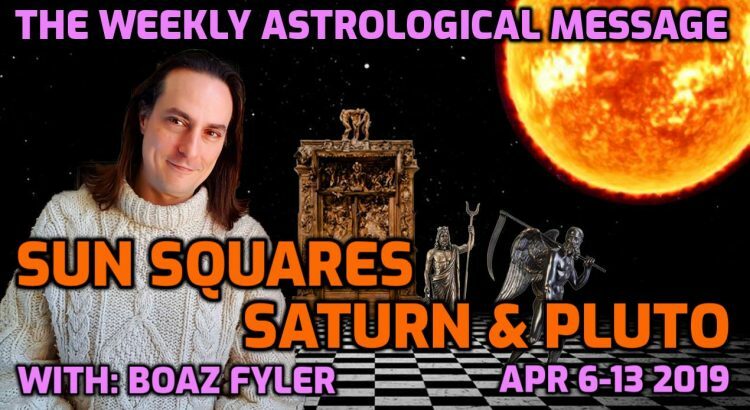 Evolutionary Astrologer Boaz Fyler presents a practical and concise astrological briefing on the celestial weather laced with messages from the heart. This video’s aim is to assist you in moving through this week more positively. Thank you for watching, commenting and sharing! Boaz Fyler All rights reserved.